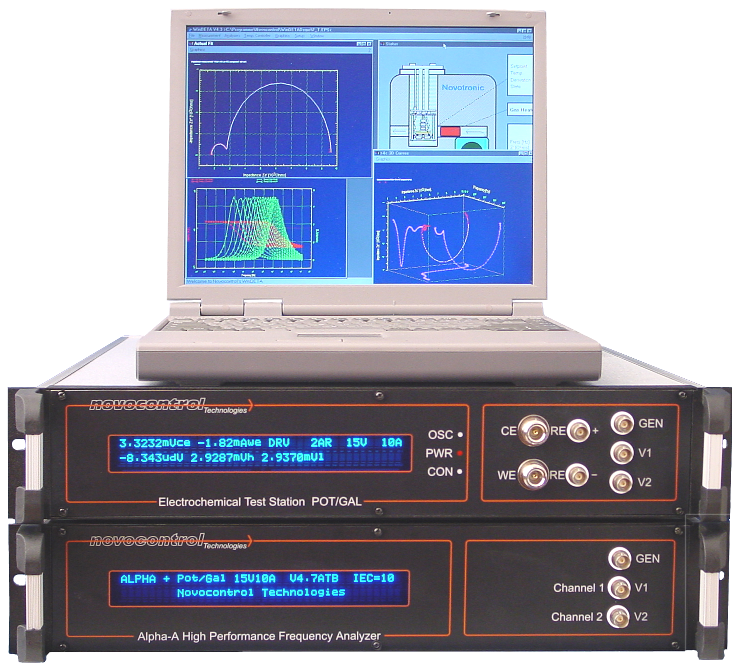 For the Alpha-A analyzer test interfaces a system concept is realized combining the advantages of a stand-alone dielectric, conductivity and electrochemical impedance analyzer with the specialized functionality of traditional combined analyzer/interface combinations. Compared to traditional set-ups the new Alpha-A series has a different system connection topology starting with one out of a series of interfaces which is connected to the Alpha-A mainframe. The mainframe operates the entire system including low level interface control and high level result evaluation. For this purpose the mainframe is operated by a PC via a set of high level GPIB commands in a flexible and simple fashion. E. g. a typical command sequence could be: adjust AC voltage and frequency, start measurement, read result as complex impedance or capacity. Depending on the interface type, the mainframe automatically adapts its functionality and command set. E.g. the voltage adjust command will accept voltages up to ±500 V for a HVB 1000 high voltage interface but only ±40V for a ZG2 interface, or special commands for DC polarization control will be available for the POT/GAL interfaces. simple and straightforward integration of the Alpha-A system into own written control software or system control packages of other manufacturers. Though the Alpha-A and all interfaces except G22 are completely integrated in the Novocontrol WinDETA software, operation by other software may be required if the analyzer shall be operated in combination with other equipment (e.g. a synchrotron ring). 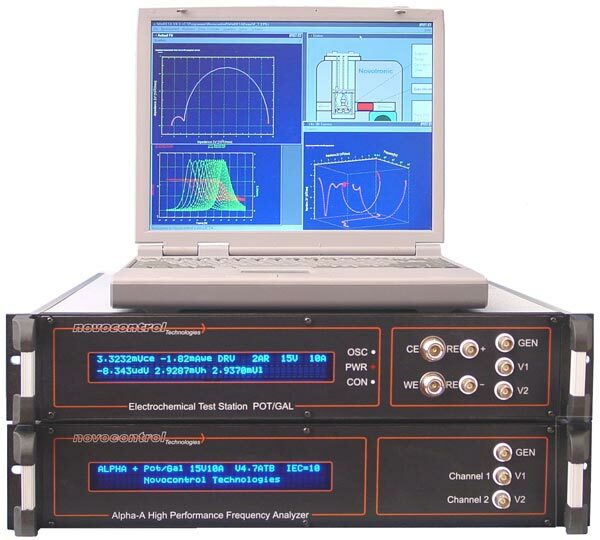 This option is an advantage over traditional device combinations for dielectric or electrochemical measurements, where a frequency response analyzer and an interface need to be controlled by a dedicated PC software and the system can not operate without this software as shown in the figure above.